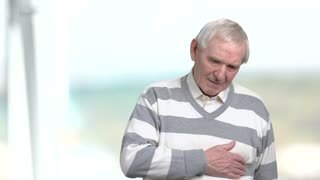 Senior man having heart pain. Elderly man take prescription medication and feels better. Result of effective pills. 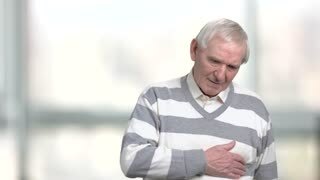 Old man with painful feelings in chest. Senior man with atherosclerotic cardiovascular disease. 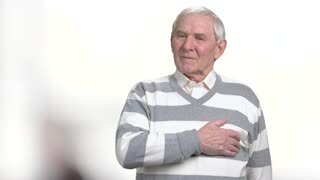 Identify different types of chest pains.